ADIDAS Jeremy Scott Limited Collection- FLY me CRAZY! Spoilt brats & babes- Time to make space in your shoe rack & spend your pocket money! 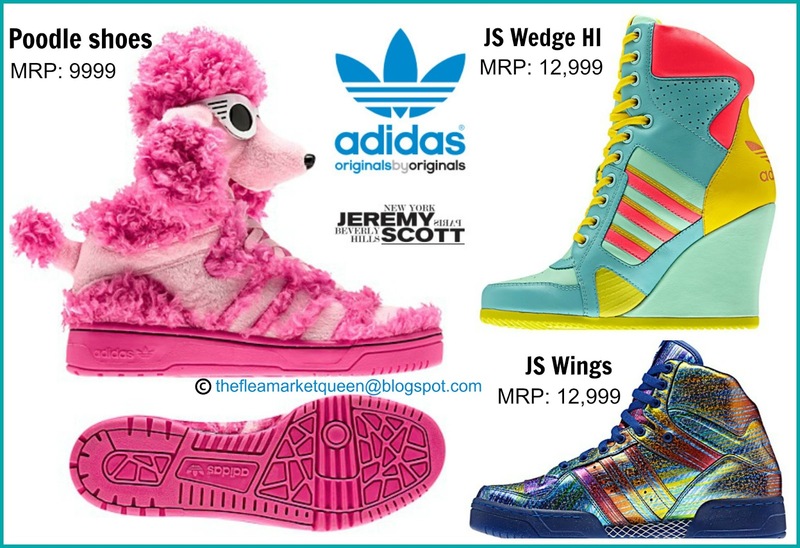 The ADIDAS Jeremy Scott Limited Collection has arrived. Eagles,billiard balls,shoes with wings and poodles- the most unbelievable creatures you shall become! Its crazy, its loud, its cute, its hot, its everything a college-goer aspires for! Jeremy Scott's Spring/Summer 2013 Collection has been launched for the first time in India , and i am sure you will notice these eccentric styles on the streets soon! From crrazy poodle shoes , eagle wing shoes to cut-out body jackets, every piece is a collector's delight! The JS Wings are the shiniest Men's shoes on the market and have wings which are on the opposite side hidden from you! Catch the glimpse of these winged beauties in the pictures below! 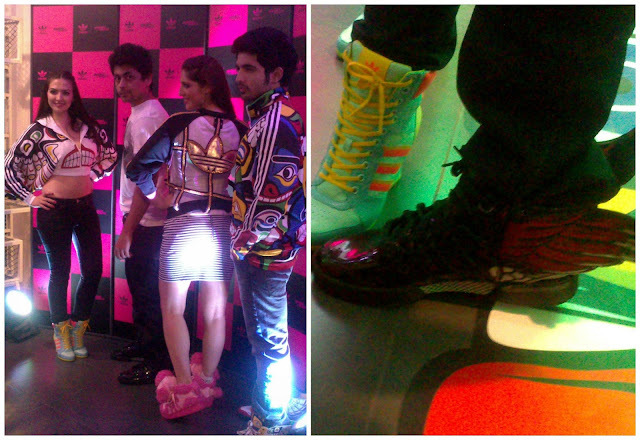 Here are some glimpses from the EXCLUSIVE LAUNCH PARTY in Mumbai ! To know where these can be bought in Mumbai & Delhi, drop your question in the comment box! I absolutely loved the JS Wings and of course the jackets.... but the price range is way too high. Sob!